Home→Uncategorized→Confirmed into . . . Synod? Some may be familiar with the history of the ELS and her relationships to the LCMS. After the LCMS began talks exploring fellowship with the American Lutheran Church, the ELS, concerned about the ALC’s loose practice on communion practice as well as her position on predestination, finally severed fellowship with the LCMS in 1955. This was the first manifestation of the end of the Evangelical Lutheran Synodical Conference, formerly made up of the LCMS, the ELS, and the Wisconsin Evangelical Lutheran Synod. The WELS finally broke from the LCMS in 1961. To this day, the ELS and the WELS remain in fellowship without the LCMS. I bring up this brief history simply to demonstrate that fellowship isn’t always so clearly identified if we try to determine it according to synodical membership. To this day, I know pastors and laymen of congregations in the LCMS, WELS, ELS, and other even smaller synods who are interested in God’s Word, not afraid to talk about it, and earnestly desire to be faithful to the Scriptures’ doctrine clearly laid out in the Lutheran Confessions. With all this said, I want to discuss confirmation in light of the synodical structures and dynamics. I was confirmed on May 26, 2002. The congregation in which I was confirmed is in the Evangelical Lutheran Synod because my dad left the LCMS in 1997 to join the ELS. 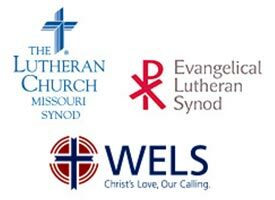 Since my dad was removed from the ELS over the ministry debate in 2006, my whole family, whether as pastors or hearers, have ended up in congregations in the Lutheran Church—Missouri Synod. There is nothing my dad teaches now that he didn’t teach when he was a pastor in the ELS, and there was nothing he taught in the ELS that he didn’t teach when he was originally a pastor in the LCMS. As far as the doctrine went, I had the exact same instruction as my older brothers who were confirmed in an LCMS congregation. We had the same 122 examination questions drawn up by my dad. Of course, I’m not saying that there are not repercussions in being in the ELS, WELS, or LCMS. A pastor has a responsibility toward the other pastors in his synod, whether to admonish them, rebuke them, encourage them, teach them, learn from them, or debate them. But that is an issue for another time. But I was taught at my confirmation not to say that. I remember my dad and pastor specifically teaching us that we are confirmed in the Evangelical Lutheran Church. And he explained that this Evangelical Lutheran Church refers to the true, biblical confession, known among us as Evangelical and Lutheran. This is because we have learned it from Luther’s Small Catechism, which is a true summary of the saving Christian doctrine revealed in Scripture. This gets to the heart of what we believe is the church. The church is marked and identified by what she receives from her Lord. She receives a true confession in the Word, in Baptism, and in the Lord’s Supper. When she receives the absolution and the instruction from God’s Word, she is receiving the true confession which identifies her as her Lord’s church. As St. Paul says, she is built on the foundation (the doctrine) of the apostles and prophets, Christ being the chief cornerstone (Eph 2:20). To be sure, it isn’t as if the synod has nothing to do with the church. It serves to represent the church so that the church can work together in providing ministers to deliver faithfully the things her Lord has given to her. In the same way, a call committee, elders, and council serve the local congregation, helping care for the external needs of the church in that place. And their primary concern should always be that which gives the church her identity. It should be that the Word is taught and confessed faithfully, that the Pastor has the funds to do his duty, and that parents, Sunday school teachers, and other teachers have the resources and guidance to instruct the youth. But, of course, we wouldn’t confirm anyone into these things. I also realize that some people love to emphasize that the synod isn’t church so that they can justify being in a synod, which has a host of false teachers and tolerates unfaithful practices in the congregations. I have used this argument myself. But I must admit that this is a cop-out. We should be very much concerned about these things, recognize that they do affect us, even if we are in an orthodox congregation, confess in every opportunity God gives us, and give thanks for any strong leaders who attempt to deal with these issues in a faithful way according to God’s Word. Do what God has given you to do in your own station. He who is faithful in a little is also faithful in much. So make friends by means of imperfect synodical structures so that when they fail you will be received by them into everlasting habitations built by God’s Word. But the reason it is so important to maintain that synod, properly speaking, isn’t the church, is simply so that we might recognize what our true treasure is. For this same reason, we should maintain that the local congregation, as far as its local arrangement goes, is not properly speaking the church. The church, properly speaking, is the collection of Christ’s sheep, both those who hear and those who teach, gathered by the true Word of God and the rightly ordained sacraments. We see this clearly depicted by Christ (John 10:27), “My sheep hear my voice,” and after he describes the work of his ministry in baptizing and teaching, also says (Matt 28:20), “And lo I am with you always even to the end of the age.” The church is identified by God baptizing sinners and gathering them around the apostolic doctrine and the breaking of bread and prayers (Acts 2:38-42). It is identified by the Good Shepherd sending his under-shepherds to feed his lambs (John 21:17 ff; Act 20:28). The reason why we call the local congregation a divine institution isn’t because of its locality or autonomy. The reason we call it divine is because of the divinely established ministry of Christ whereby he gives to his church a true faith and confession by his Word and Sacraments. God giving pastors to his sheep is by divine promise and arrangement (Jer 3:15; 23:4; Matt 28:28 ff; Eph 4:11, 12). Of course, this will take place in a local place. Of course, this will include orderly representatives. When talking about disputes Jesus says, “Take it to the church,” assuming that there will necessarily exist some sort of council or representative body (Matt 18:17). So while we might loosely refer to these things as the church, this is only by synecdoche, in which a part or organization within the church is referred to as the church. We need to teach this to our confirmands very clearly. They are not confirmed into the LCMS, ELS, or WELS!! Neither are they even confirmed into St. Paul Lutheran Church or Trinity Lutheran Church. They are confirmed into THE Lutheran Confession, which marks and identifies the church. This is why we call this church the Evangelical Lutheran Church. 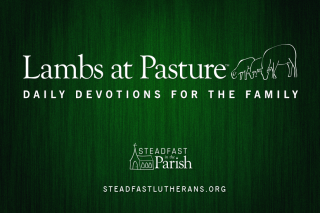 And this means that if St. Paul or Trinity or this or that LCMS, ELS, or WELS congregation abandons this confession, then the sheep may still know what their true confession is, and those who are genuine in this confession may be recognized (1 Cor 11:19). This will also help people better understand what closed communion is all about. Teach the people never to say to a pastor while visiting his congregation, “I’m LCMS. Can I commune?” Or even worse, “I’m LCMS. So I’ll be taking communion.” Or even worse than this is when the parents of adult children say, “They’re LCMS.” This is a shallow understanding of why we practice closed communion. I don’t really care if you’re LCMS. Ok, I kind of care. It is an understandable place to start. After all, the LCMS, at least in theory, subscribes to the Scriptures as the inerrant Word of God and to the Lutheran Confessions as a true exposition of the Scriptures. But first of all, you’re not LCMS unless you’re a rostered church worker or you are a congregation. And I’ve never met anyone who is a congregation. Second of all, the synod isn’t meant to be some lodge with a secret handshake or membership pat on the shoulders. If closed communion is just a membership statement then we should not practice closed communion. Instead, we should learn to talk about the things God has given us. Because that is what allows us to commune together. So what has God given you? He’s given you his Word and fellow saints to gather around that word. So where do you go to church? He’s given you a pastor to teach you that Word and care for your soul in the same. So who is your pastor? What does he teach? Is it the faithful Biblical teaching summarized in the Small Catechism? Do you agree with what he teaches? Why do you agree? Why do you want to take communion? What is the Lord’s Supper? What are you saying when you commune with us? Do you know what we teach? This makes for awkward situations, I know. I am familiar with the painfully awkward looks on the faces of visitors and family members when you *gasp* examine them with God’s Word. It is so much easier simply to ask them (or find out from someone else), “Are you members of an LCMS congregation?” And yet, what does this teach our parishioners when we leave it at that? First of all, it confirms them and us in our sinful discomfort when God’s Word confronts us face to face. And second, it teaches them that we are basically a Masonic Lodge that just happens to have the right opinions and practices closed communion. Masonry will always be the preferred religion, even if their stupid lodges all shut down. We’d much rather identify ourselves and confirm ourselves in clubs and organizations built with hands. And the irony of it all is that we forget what these organizations stand for. We think that the revivalist hymns written by those who mocked the Sacraments are actually the good old [LCMS] hymns. We claim to honor our fathers. Yes, like Congregations Matter claims to honor Walther by promoting the autonomy of the congregation, but then they promote the worship of the sectarians who drove Walther insane and the unionists who persecuted our Lutheran ancestors. God uses synods, just like he uses all mammon. I am thankful for what God has accomplished through all the synods of the old Synodical Conference, despite their weaknesses. But we need to remember why God ever blessed these synods and why he still continues to bless them. It is for the sake of his sheep who hear his voice. It isn’t for the sake of the scoffing world, which demands that we make some bogus statement to placate their sanctimonious, virtue signaling, social and political causes. It isn’t for the sake of hypocrites who couldn’t care less about learning God’s Word but just want more people in the pews. God blesses his church through these synods only because of his little lambs who hunger and thirst for the pure spiritual milk of his Word. One more reason it is so important to maintain that we are confirmed into the Evangelical Lutheran Church rather than some synod is because the sheep learn the courage to confess this confession, to teach this teaching, to make use of their baptism by speaking back their Shepherd’s voice even in the face of hostility. This, after all, is what our confessional fathers learned to do as they stood on the same confession of Christ and his Scriptures. Confirmation should teach us this very thing. It is a rite instituted by the church to teach her members what God gave them in their baptism. He gave them a confession. Because he gave them his Word. May we rely on it, speak it before kings, and not be put to shame (Ps. 119:46). Can you explain the issue you mentioned in passing about the doctrine of predestination? Thank you. The old ALC was made up of the Ohia and Iowa synods, which had broken from the Synodical Conference in the late 19th century over the predestination controversy. The controversy started when Walther presented a paper (I think at one of the conventions) explaining that predestination is not based in anyway on the individual’s faith, but purely on God’s grace in Christ. Faith is a result of predestination. He was accused of Calvinism by a certain Professor Schmidt. The Lutheran Dogmaticians had confused what the Formula of Concord XI called “foreknowledge” with what Paul describes in Romans 8 as God foreknowing those whom he predestines. So it became the understanding among Lutherans for hundreds of years that God predestines us in view of our faith. 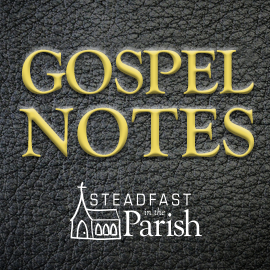 Their original intention was to emphasize that predestination isn’t simply based on God’s sovereignty apart from the gospel, but is grounded in Christ with the anticipation of faith. In other words, God doesn’t predestine people to hell. It is always a matter of faith. But they were mistaken to phrase it in this way, namely that God predestines the Christian in the foreknowledge of his faith. This brought forth the understanding that our election is, to some degree, dependent upon our faith. And in the 19th century there were those, influenced by pietism and Arminianism, who taught synergism, the teaching that our faith, in part, comes about by our own free will. Thus, predestination was based on God looking into the future and seeing that we would make that decision to believe. Of course, to be fare, many in the Ohio and Iowa synods did not teach this synergism. They wanted to keep with what was popularly taught among the orthodox Lutheran dogmaticians. It was a very sad split. But at the end of the day, Walther et al. were right. Faith is a result of God electing us in Christ from before the foundations of the world. This election is declared in the gospel, which effects faith. This is the teaching of Scripture and the Lutheran Confessions. I think that many people were troubled by this split, which splintered in different directions, some being more orthodox and some being more pietistic (the Lutheran Brotherhood came out of the Norwegian Synod because of this). In fact, this was a heavy controversy in the Norwegian synod, and my great-great-great and great-great grandfathers were physically removed from the congregation they served together, since they held to Walther’s position. They were later reinstated as the majority of the congregation repented. Suffice it to say, it was a dark time among confessional Lutherans in America. So it seems that many in the LCMS in the 40s onward wanted to restore what they felt had been unnecessarily broken, deciding that the election controversy really shouldn’t have been such a big division. The ALC eventually merged with the Norwegian group, ELC to form the new ALC, which of course eventually merged to form the ELCA. The ELC was formed near the end of WWI. The majority of the Norwegian Synod joined with other pietistic Norwegian groups, and those who refused to merge were known as the Norwegian Evangelical Lutheran Synod, which stayed with WELS and Missouri in the Synodical Conference and later dropped the title “Norwegian.” They were also known as the little Norwegian Synod. It makes sense that they would oppose talks with the ALC and ultimately break from the LCMS on account of it. They exist as a little synod precisely because they refused to join with those groups who had not agreed with the Norwegian Synod on election, not to mention the synergism that was common in some of these circles. In fact, my grandfather left the ELC seminary in St. Paul because they were teaching and tolerating synergism. He finished his seminary training at Bethany in Mankato, the newly founded ELS seminary at the time. To sum up, the controversy on predestination was largely linked to the controversy on synergism, even though not everyone who disagreed with Walther et al. was a synergist. So while it is certainly sad that many otherwise very orthodox pastors and congregations were estranged from the Synodical Conference over this election controversy, we must maintain that Walther’s position was the correct, biblical, and confessional position (to be redundant). If our faith plays anything but a passive, receptive role in our election, then we necessarily cast doubt on our election. This was not the intention of the Lutheran dogmaticians. They were consistent in saying that we are justified through faith and not because of faith. They were consistent in identifying faith as an organum leiptikon (a receiving, passive, organism). It’s a shame that it led to such controversy. But it is humbling as well. It teaches us to be humble to God’s Word and not simply rely on tradition. The traditions may be often good and faithful to Scripture. But unless they are always coming out of Scripture then they become dead rules. Outstanding, Pastor Preus! I’ve never heard this explained so clearly, succinctly, and persuasively before. Thank you very, very much! Thanks for the explanation and history lesson! Uniquely unify interractive financial sustainability.